We ordered three things: spinach artichoke dip, ahi tuna wrap and fish tacos. We really like the pita served with the dip (a great shared starter) and Erica's tuna wrap. It was healthy, fresh and had a really nice light sweet dressing. 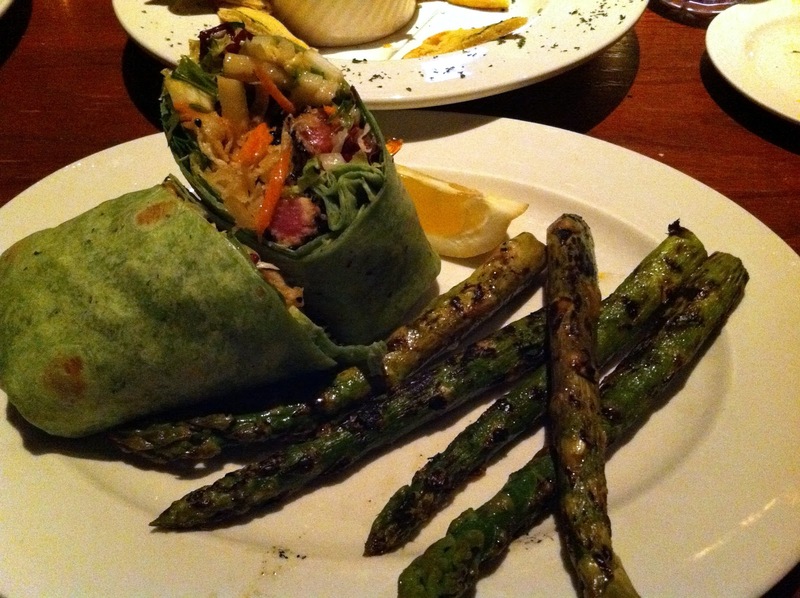 Wraps come with a choice of side and the grilled asparagus was surprisingly good. I am a bit concerned that "one of the best items" is the fish tacos. 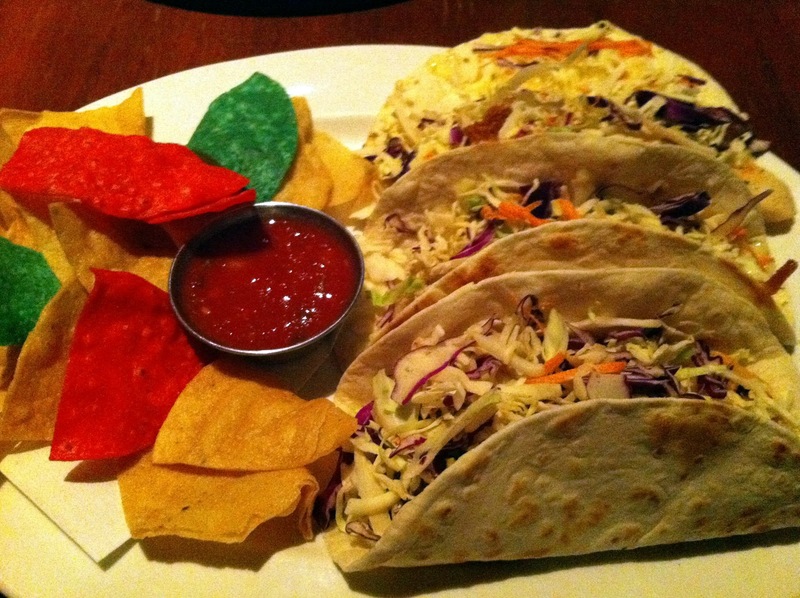 It's a solid portion size with three tacos and chips. I liked but didn't love them and only ate two. There was a lot of cheese and sauce on the fish with a small dose of lettuce/cabbage topping. It felt more like a fish quesadilla than a fish taco, but maybe that's the point. I added some spicy salsa to add salt and flavor. 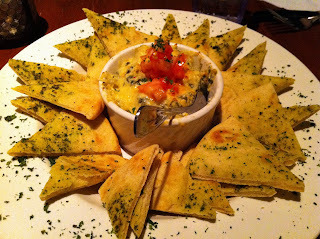 We had a nice meal, especially at a "bar and grille". It was good enough to make it a regular destination for quick eats and sports game viewing. Maybe we will find other preferred destinations, but this is also an option AND they serve a pretty good weekend brunch (or so we heard).Other perks include a large patio, good value and attentive service. Welcome to the neighborhood. My boyfriend lives right around there, and there's tons to explore. I recommend Dee's Place if you haven't been already. try to go on a night w live jazz, and def. get the fried green tomatoes app. mmm.